‘I blame video games for the violent behaviour among young children and teenagers,’ some parents say. There are even studies that support this view. Medical professionals also believe that excessive use of video games and an unhealthy diet contribute to the increase in childhood obesity. This is worrying when we take into account that 97% of American children and teenagers play video games for at least one hour every day. While it’s true that the prolonged use of video games is not advisable, it’s also true that not all video games should be tarred with the same brush. Over the past eight years, with the arrival of smartphones and the growing popularity of platforms such as Steam, the nature of video games has also changed. They’re more geared towards players’ needs. They offer more than just entertainment. Which is why this is the perfect time to unveil our language learning game, RUBY REI. An immersive video game to learn whilst having fun! Most studies carried out in the past focused on the negative aspects of video games. And many of them looked at just one or two types of games. It’s like saying that exercise is bad for your health solely based on boxing injuries or cycling accidents. Not all video game genres are the same. And of course, each genre has its advantages and its disadvantages. Video games improve a player’s cognitive abilities. These are the capacities our brain has in order to function and process incoming information, such as memory, attention span, comprehension and reasoning. A recent study concluded that first-person shooter video games improve visual and spatial awareness as much as courses specifically designed to improve these skills. The same study also concluded that we can practise these skills (spatial and visual) by playing video games. The skills acquired can also be used in other contexts – outside of the video game. By playing video games we can also improve our problem-solving skills (Prensky, 2012). It’s not only logic games that train these skills. In fact, most video games do. The current trend among video game developers is to provide the player with a new and unique experience. To do this, they leave out the instructions and let the player find the answers for themselves, based on logic and previous video game experience. These kinds of challenges promote learning based on trial and error. Another study, which looked at the relationship between playing strategic games, the ability to solve problems, and academic grades (Adachi & Willoughby, 2013), showed that students who played strategic racing or combat games had better problem-solving skills and achieved better academic results. But what happens to our brains when we play video games? Kühn and Gallinat (2013) published a research paper in the journal Molecular Psychiatry explaining the changes that take place in the brain when we’re playing video games. They carried out MRI tests on 62 men playing Super Mario 64 for 30 minutes each day over a two-month period. In all of the study’s participants, the amount of grey matter increased in a number of brain structures: the entorhinal cortex in the left and right parahippocampal regions in the brain, as well as the inferior left parietal and occipital lobules. In other words, the parts of the brain responsible for processing visual and spatial information. According to Dweck (Dweck and Molden, 2005), children develop a belief in their intellectual abilities according to how they have been encouraged. For example, children who are praised for their intelligence (‘You’re so intelligent!’), believe their intelligence is something that they are born with, something fixed that cannot be changed or improved. If you are born intelligent, you are at an advantage compared to people who haven’t been born with ‘your qualities’. However, when we reward children’s efforts (‘Well done! You’ve put so much effort into solving this puzzle!’), they believe their intelligence is something they can work on and improve. Video games have scoring systems, rewards and achievements based on effort, which improve the player’s awareness of their own intelligence. The player is also aware of a game’s difficulty increasing from level to level and, as a result, they become even more perceptive of their own intelligence as they progress. But also, games (especially those which have multiple stages) increase a player’s ability to make sacrifices, be persistent and display tenacity. These are all skills that the player can use in contexts other than that of the game. 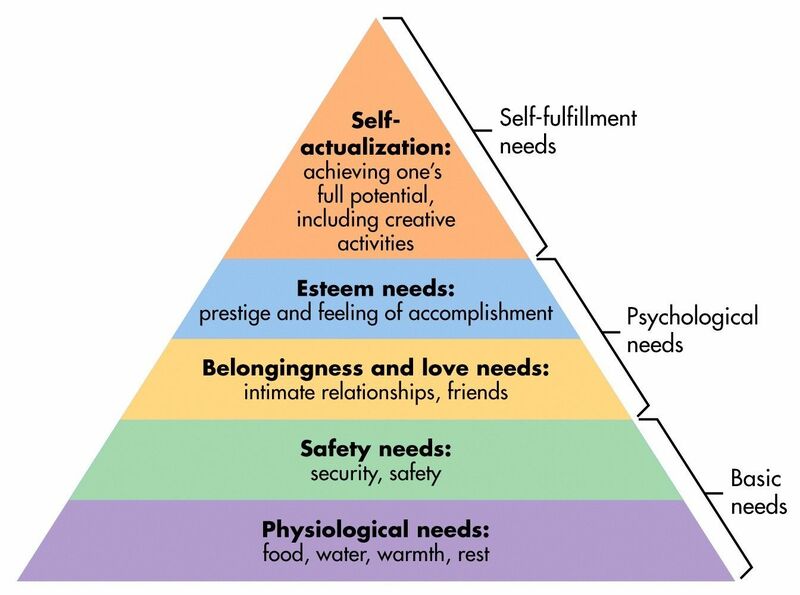 According to the Uses and Gratifications Theory, we all have needs (Maslow’s hierarchy of needs) that we ensure are met in different ways, one of those ways being through media consumption. And one of the main reasons we consume media is to control our mood. In the same way as when we consume media, several studies suggest that playing logical or puzzle video games – games that are accessible and easy to use – like RUBY REI or Candy Crush, can improve our mood, promote relaxation and relieve anxiety. According to Jane McGonigal in her book Reality is broken, playing video games makes us happier, more creative, more resilient, and more able to take action to improve the world around us. – Not playing for more than 21 hours per week. – Playing with friends or family is better than playing alone or with strangers. – Playing in the company of friends or relatives is better than playing online. – Playing in cooperation with others is more beneficial than playing in competition with others. – Video games that encourage creativity have more positive effects. Many people think that gamers are antisocial and isolated in their own worlds. This is an idea that has formed as a result of gamers in the past who played games that were made in the 90s: the player who spent hours and hours alone in their room, in the dark, playing games and not talking to anyone. But today, the typical gamer is very different. According to statistics, more than 70% of gamers play with friends, either cooperatively or competitively. For example, Farmville, one of the most successful social games on Facebook, reached 5 million users a day in 2010. World of Warcraft, another multiplayer game, reached 12 million repeat users. But, where is the social benefit? The player has to make decisions in these virtual communities, about whom to trust and whom not to trust, and how to lead a group. In other words, they develop social skills that can be used in real-life situations, not just video games. And this is before we even consider the other social skills developed: providing support, collaborating, and helping others. The effects of developing these skills endure over time. It has been proven that children who play cooperative games with others before the start of the academic year are more likely to help their peers in the classroom. When we play video games, we give the best of ourselves. We feel inspired, we persist in the face of adversity, and we look for solutions. When we fail, we don’t let it discourage us. Instead, it drives us to keep going and to try again with a different strategy. We feel stronger. But this doesn’t happen in real life. When we’re faced with problems in real life, we feel anxious, sad and depressed. So how can we transfer the emotions we experience when playing video games to real life? In video games, everyone has a purpose. We are all part of the mission, everyone contributes and understands the need to collaborate. We trust each other. In video games, we also receive a lot of positive feedback. In real life, we don’t. No one is going to give you five points for reading this article, and you won’t reach another level of intelligence by finishing it. The rewards in real life are few and far between compared to those found in video games. More than 500 million people around the world play video games for at least one hour every day. These people are spending time developing some specific skills. According to Jane McGonigal, they also contribute, and will continue to contribute a lot towards developing modern society. when faced with an obstacle, this is the immediate feeling that there are many ways to get around it and succeed. Taking a stab at what feels right, in the precise moment when the obstacle presents itself. by playing with other people, players are widening their friendship circles and developing a higher level of social skills. we are happy when we play video games; we spend hours in front of a screen without it feeling tedious. Gamers are always ready and willing to work hard. players get attached to a game because of the meaning it has, what it implies, and because of the challenge and the effect it has on the player’s life. Saving a world in danger has great significance for any person, whether that world is real or virtual. We also know that there are some disadvantages to playing video games. But perhaps the time has come to put our limiting beliefs about video games to one side. It’s time to start thinking more about the advantages and less about the disadvantages. It’s time to embrace new trends. It’s time to have more belief in the positive changes that video games can make in society.